intertwined, one with the other, and neither can exist without the other. 29 But come. The sun is almost here, and I must depart. Here is your hiding-place...a good cave that will keep you out of the sun. Go way into the back. You will find a small opening. Squeeze through and sleep in the small chamber on the other side. Do not emerge until nightfall. I will return for you then!" 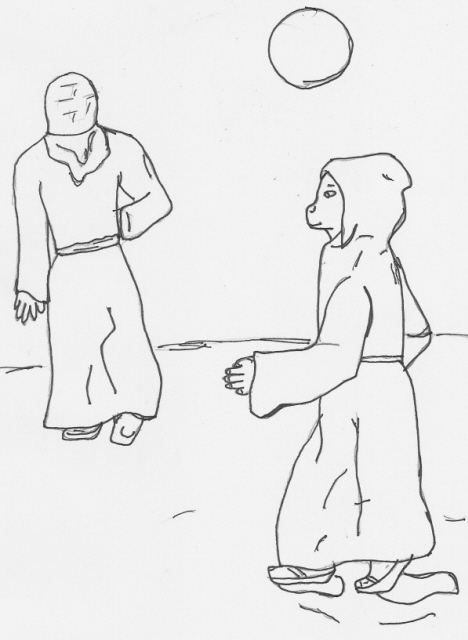 The Old Fox being led to a hiding place in the desert by the Spirit of his brother.